Due to its amazing natural beauty and climatic conditions, tourism has become one of the major Industry in Srinagar. The major travel attractions in Srinagar is the lakes and the Dal Lake and the Nagin Lake are two of the most popular lakes in Srinagar. Houseboats are the major attraction of Dal Lake and a lot of travelers make sure to take a ride on the houseboats through the Dal Lake and enjoy the amazing beauty that is associated with the surroundings of the lake. 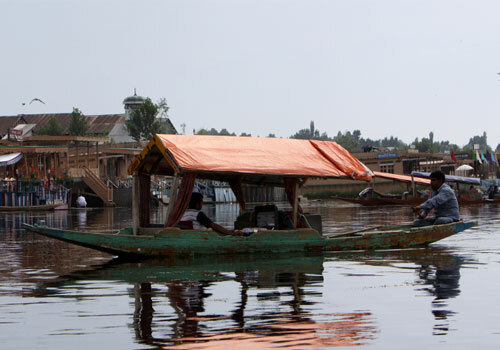 Due to the increasing demand of houseboat trips on Dal Lake the number of houseboats in this beautiful lake has increased up to around five hundred. Another major travel attractions in Srinagar are the gardens and palaces that was built mainly by the rulers in the past. The Mughal gardens, Chashma Shahi, Pari Mahal, Nishat Bagh, Shalimar Bagh, the Naseem Bagh, Tulip Gardens etc are some of the well known and most popular gardens in Srinagar. The Sher Garhi Palace in Srinagar is home to the major administrative buildings of the State Government. 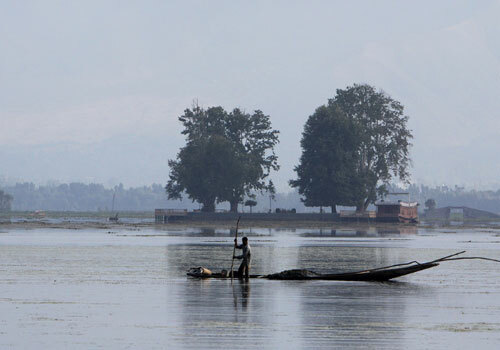 These palaces and gardens add more to the beauty of Srinagar and majority of the gardens and palaces in Srinagar are flooded with travelers during the peak tourist seasons. 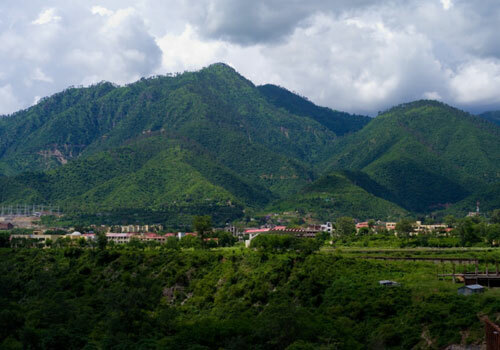 The amazing hills and the presence of Jhelum river makes Srinagar a hot tourist spot in North India and gardens and lakes tempts the travelers to visit this beautiful place again and again. The nearby places such as Gulmarg, Sonamarg and Pahalgam are also excellent tourist spots and it is always recommended to visit these places while coming to Srinagar. Most of these places are considered to be the best adventure travel destinations for adventure activities such as trekking, hiking, fishing etc. Another major notable feature of Srinagar is the traditional Kashmiri handicrafts that is present at each and every corner of this place. The Kashmiri handicrafts are held with high demand among the tourists and handicraft business experiences a major uplift during the tourist season in Srinagar. The Woolen and silk carpets, Chain-stitch carpets, boxes, vases, replicas of samovar, houseboat models, woolen shawls, woodcarving, shahtoosh shawls, Pashmina shawls etc all makes Srinagar a perfect place for handicrafts shopping. Srinagar has an extreme cold climate during the winter season and most of the tourist prefer to stay away from this place during the winter period. But in the summer the climate in Srinagar is amazing and the summer usually falls between April and June. The summer season is considered to be the best time to visit Srinagar, as you would be able to explore the amazing beauty of Srinagar to its fullest. Srinagar is well connected to the other major Indian cities by rail and road and it is easier to reach this beautiful place. However the nearest airport is at Jammu which is around 290 km away and you need to keep this in mind if you plan to get their by air. Srinagar is home to some of the best hotels, resorts and lodges that are available in the northern part of India. Most of the hotels provide a feel of the rich heritage and culture of Srinagar and these hotels are available at the most affordable rates. This entry was posted in Srinagar and tagged accommodation in srinagar, best time to visit srinagar, srinagar handicrafts, transportation in srinagar, travel attractions in srinagar. Bookmark the permalink.